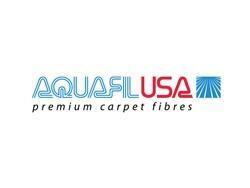 The $25 million investment represents the first of five plants in Aquafil’s long-term plan. The second will open in 2019 in Sacramento, California. Giulio Bonazzi, CEO for Aquafil, said that the idea of creating a network of carpet recycling facilities started 20 years ago with a conversation he had with Interface’s late Ray Anderson. “In a circular economy, we should manufacture everything with the end in mind,” says Bonazzi.